Stream Scrambling or Ghyll scrambling in the Peak District is as close as we get to Gorge walking. Our streams aren’t as big as the ones in the Lake District but we can still have a wet and wild day. This day is about having fun whilst getting wet ascending one of the Peak Districts best streamways. It involves climbing small waterfalls, swimming across pools, building human dams, water slides, jumping into a plunge pool and having your photo taken underneath a waterfall. 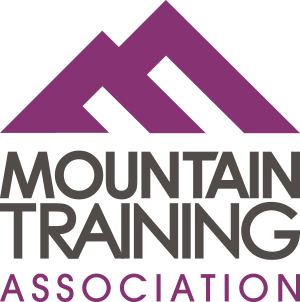 Our instructors are in there with you supporting you, challenging you and spotting you were necessary to look after your safety. It is a great group activity to create a day to remember. 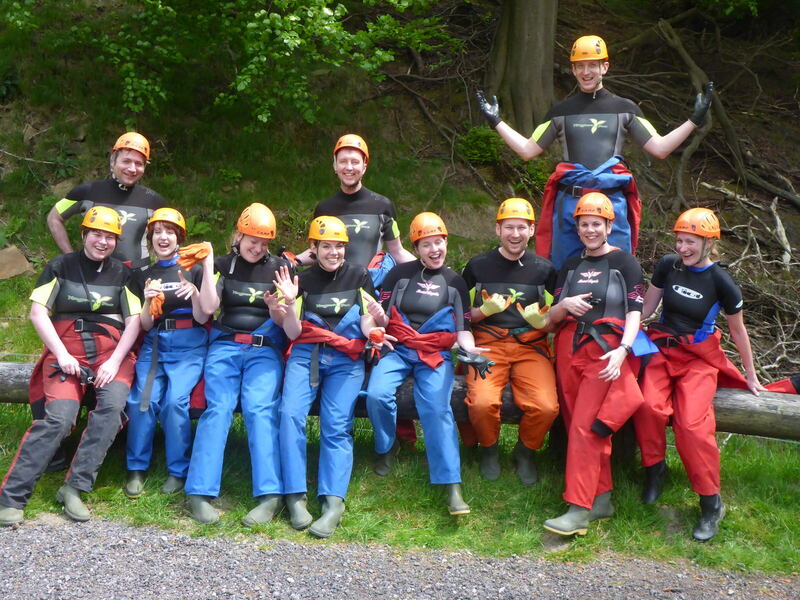 Ghyll scrambling in the Peak District works really well with Stag and Hen parties as well as extended families or youth groups. We can also take you abseiling beforehand if you wanted to fill the day with outdoor activities. If the weather is right then this is an excellent way to spend an afternoon or morning with your friends. We recommend doing this activity between May and September to get the best from the weather and the right water levels. This activity takes place off the Snake pass so you can be sure of some stunning views whilst participating and even driving there. You will need a full change of clothes for this activity, a towel and some cash to get a coffee or Hot Chocolate to help you warm up afterwards. 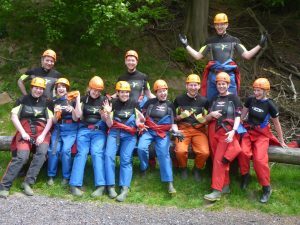 Have a look at some of the photos and if Stream Scrambling / Ghyll scrambling looks like it might be of interest for your group then please get in touch to discuss this in more detail.